What to pack for a New Zealand Campervan road trip? A campervan trip is unlike any other kind of vacation out there. You have ultimate freedom, get to experience the outdoors and take your accommodation around with you. With that in mind, there are a few essentials to add to your campervan road trip packing list that you might have not thought about. We list a few right here in this article. Better yet, all these things to pack for a New Zealand campervan trip are specific to New Zealand! Some of the essentials to pack for a New Zealand campervan trip can be prepared and packed back at home, while others you can pick up while you are in New Zealand. We’ll tell you a few cheap stores to pick up the essentials and give you a few links to examples. For more tips on your campervan road trip, see Travel by Campervan in New Zealand: The Ultimate Guide. A campervan road trip is the perfect bonding experience, as is playing games, so both come hand in hand. Pack these waterproof playing cards for a quick boredom buster on your flight to New Zealand and on an evening in the campground. Why waterproof? Well, a campervan trip is all about the great outdoors so you and your cards are going to a lot of places! As an extra blanket in winter or for something to wrap around yourself when you’re sat around the campfire, an extra blanket is always a good thing to have no matter what season you are travelling by camper! 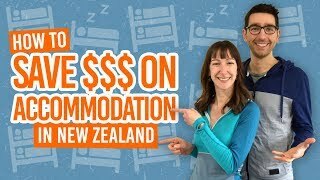 Either pick up a cheap blanket from New Zealand department stores like The Warehouse or K-Mart or get yourself a compact travel blanket like this one. New Zealand is a country of card transactions – even for the smallest things! However a campervan road trip is just about the only scenario where you’ll need some small change and cash on you. Many of the cheaper campsites, like the Department of Conservation campsites, only have honesty boxes where you’ll want to have the right amount of change to pay for the night. There’s no point making the epic road trip playlist only to realise you can’t play it in you campervan! 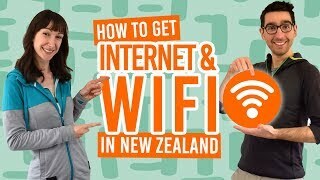 Many of the rental campervans in New Zealand come with a AUX cable slot so you can hook up your phone or whatever you play your music on so all you need is the cable to go with it! If you still don’t know what we’re talking about, here’s a AUX cable we like! Depending on the season, you’re going to want to bring some sort of skin cream to protect your precious body from the elements. We’re talking about high factor sunscreen for those spring, summer and autumn months, moisturiser for hydrating your skin in winter, and insect repellent. Off! is an insect repellent brand commonly used in New Zealand. See more about packing a first aid kit for New Zealand here. Instead of renting a GPS for an extra daily rate from your campervan rental company, make sure you have a GPS app downloaded on your phone. It can be the free Google Maps or any one of the big GPS brands that only costs a couple of dollars to download. Save areas of the map that you are travelling to before you hit the road so that you can access them offline and not use up all your precious mobile data. Or as they say in New Zealand, togs! It’s not just a swim at the beach that you’ll want to bring swimwear for your New Zealand road trip. There are plenty of opportunities to get in the water in New Zealand, from waterfall pools, to natural geothermal hot pools, for surfing, white water rafting, caving and much more! On top of that, it’s best to bring your own towel as not all campervan rental supply one. Pick up a compact and fast-drying travel towel like this Wolfyok Travel Towel. Ok, so you don’t have to bring these all the way from home, but pick up a bag of marshmallows (and other road trip snacks, of course) for those campgrounds with open fire areas. That way, you’ll be prepared for some classic marshmallow roasting around the fire. You’ll be the most popular crew in the campsite. Yep, this is another thing you don’t need to bring from home, but you’ll be thankful you picked one up at the start of your New Zealand road trip! Bodyboards are not just for riding the waves in New Zealand – oh no! There’s sand dunes to board down AND the world’s longest natural waterslide situated in Gisborne. Even in summer, you’d be a fool for not bringing some extra warm layers for you campervan road trip in New Zealand. New Zealanders swear by merino wool as its both breathable and warm. You can find merino wool layers readily available in plenty of stores across New Zealand or pick up some Icebreaker merino layers for women and Icebreaker for men before your trip. Or flashlight or whatever you call it where you are from! For finding the campsite bathrooms in the night, locating your midnight snacks in the camper, or going on glowworm walks at night, a torch is essential for a campervan road trip! We recommend this small yet powerful Anker Flashlight.